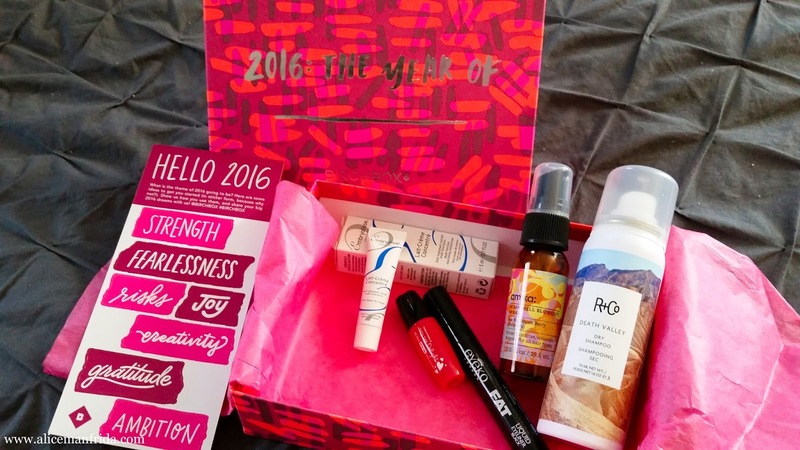 I got lots of great samples in my Birchbox this month. Of course I filmed an unboxing video but I don't think such a casual video needs close up shots inserted in it so I've got pictures here instead! The best part is the makeup! 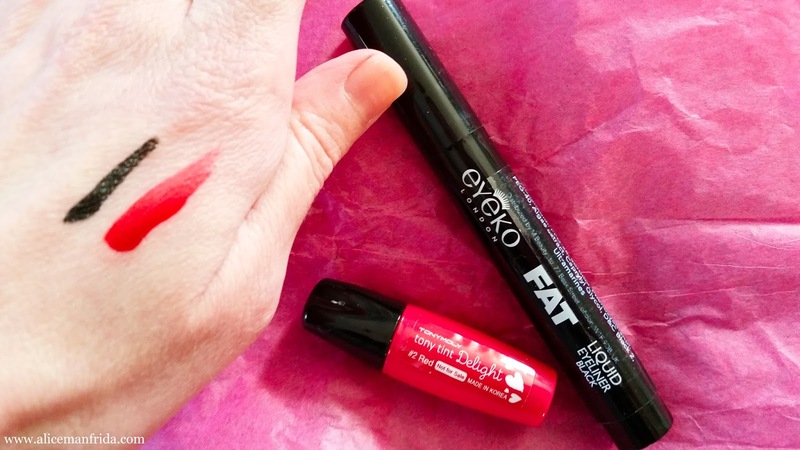 I got the Fat Liquid Eyeliner pen in Black from Eyeko. I have the Skinny version of this and I like it a lot so I'm sure this will be a winner. I definitely think that the felt tip eyeliner pens are the easiest way to apply liquid eyeliner. The other makeup item I got was a lip stain by Tony Moly. This is the Tony Tint Delight in #2 Red. It is a true red and it really does last. My hand was slightly stained for a day after I took this picture, even with scrubbing with soap. Ha ha! But that is exactly what you want in a lip stain! 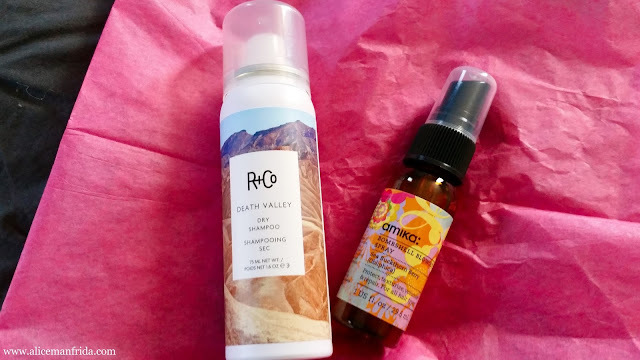 I got a dry shampoo from R+Co. I used this last weekend while we were away for a couple of days and it worked like a charm. It also smells really nice. The Bombshell Blow Out Spray from Amika smells like the other Amika products I've used, which is amazing. The fancy name threw me off but it's just a heat protector spray. 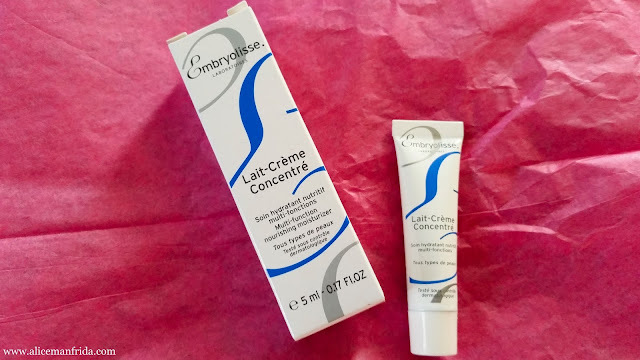 Finally, no winter box would be complete without some moisturizer and this month I got the Lait-Crème Concentré by Embryolisse. If you have a Birchbox subscription let me know what you got this month.